Amazon reported another surge in revenue for its cloud business last quarter, though the growth is slowing as the division gets bigger. Amazon Web Services revenue for the second quarter was $2.87 billion, up 58 percent from the same period in 2015, Amazon announced Thursday. Operating profit was $863 million, up from $391 million a year earlier. It's another positive sign for AWS, which is still the leader in public cloud services, even as IBM, Microsoft and Google step up their efforts to complete. The growth at AWS is slowing, however, which is typical for a company as its business gets bigger. The gain was 64 percent in the first quarter, and 69 percent the quarter before that. The results followed several milestones for AWS. It recently launched a new region in Mumbai, India. The cloud provider also achieved FedRAMP High certification, which means it can run high-security workloads for the U.S. government. Amazon's business overall, including its e-commerce and content businesses, brought in total revenue of $30.4 billion, compared to $23.2 billion in the second quarter last year. Net profit was $857 million, up sharply from $92 million the year before. For a long time, Amazon reported little to no profit, with CEO Jeff Bezos preferring to invest any surplus back in the business. 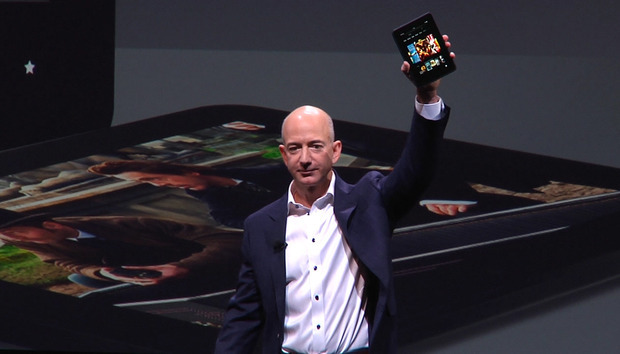 But Amazon has reported a profit for the last several quarters.